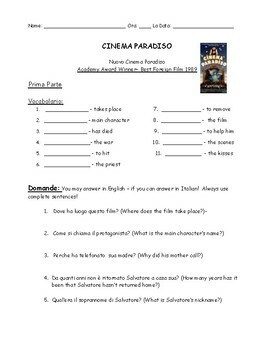 Cinema Paradiso is a classic movie that all students studying Italian should see more than once! 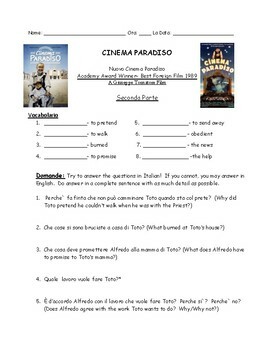 Unfortunately all movie guides you find in books are made for College students... Download this packet for lesson/vocabulary and summative project all in one! 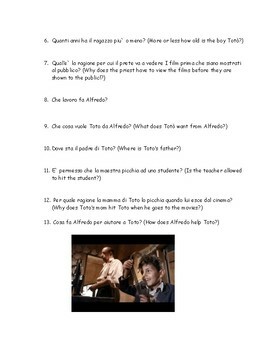 The work is done for you! 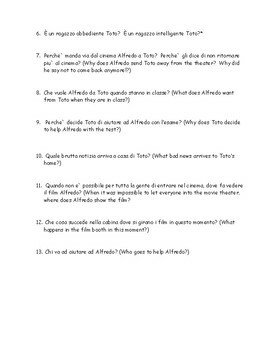 Enjoy the movie and watch as your students get wrapped up in the culture and language through this incredible film.